Part one of the article The Future of Mobile Beacons explains the benefits a consumer receives by downloading a retailer’s smartphone application. In part two of this series our team dives further into two companies striving to change the virtual world with mobile beacons and augmented reality technologies. ShopLive specializes in business-to-business communication. It is a company providing retailers, event venues, hotels, and other “consumer destinations” with an innovative and efficient way to connect with their consumers through Bluetooth Low Energy and beacon-enabled Android/iOS phone applications. ShopLive recently teamed up with Reality Boost, an augmented reality hub in Miami, Florida to spread ShopLive’s “BecoSystem” throughout the nation. Because of this merge, South Florida has become the center for augmented reality startups and beacon technologies in the United States. According to ShopLive’s website, their product will deliver exclusive brand content to consumers while they are shopping, giving the retailer new ability to track sales and review immediate feedback, resulting in improved customer service and in-store planning. In general, ShopLive’s BecoSystem is a win-win for the consumer and the retailer. 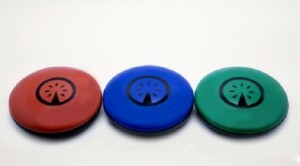 On the other end of the spectrum is SIGNUL, a company geared toward the sale of personal mobile beacons. SIGNUL will “simplify your digital life,” by allowing individuals to “trigger alerts, send messages, launch apps, and automate devices,” with the touch of a button. The crowd funded website Indiegogo has raised over $40,000 from investors to help build SIGNUL’s device. The image above details SIGNUL’s first beacon prototype. Beacons and augmented reality are predicted to become a core part of many people’s lives within the next five years. ShopLive, SIGNUL and other Beacon Technologies will be useful to individuals in their homes, offices, and cars as well as in business. Apple has coined 2015 “the year of the Beacon,” and deservedly so. From retailers to everyday tasks, beacons are the new way to stay connected with the world.